Everyone at some stage in life – especially if you are a Samoan citizen – will have to confront the reality that to travel anywhere in the world – you will need a visa. This is a given. The difference is that some of us are intelligent and confident enough to work out what we need to do while others who are not so informed become victims of scammers looking to prey on their vulnerabilities. The sad part is too many of our people have become victims of this vicious cycle. In their hour of need for some help in terms of immigration advice, the factors are heavily stacked against them. Their inability to understand the English language, the lack of confidence in approaching the correct authorities and sometimes the unhelpful nature of some immigration officials have left them wide open to being scammed. And they have lost thousands of their hard-earned tala in the process. We’ve seen this over and over again. 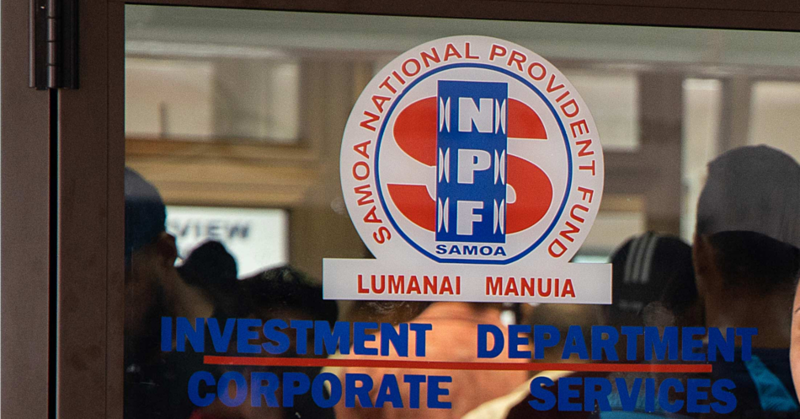 The latest example emerged in the Sunday Samoan under the headline “Couple issue scam warning.” The story featured a couple from Fagamalo, Savai’i, who claim to be victims of what they claim as an “immigration scam” run by a woman in Taufusi. They claim to have been hoodwinked of close to $20,000 in fees for a trip to Australia that has yet to happen. “In September, we were given her name and someone said we should go and see her,” the couple said. “That’s how we met her. We compiled most of the information and she said she was going to get the airfares and the statutory declarations, which was $150. The airfares were $5,800 and that was the first amount of money we were tricked into giving her. She said it will be heaps better if you give them two return airfares already. Alas it was a big mistake. But things got worse. The couple also gave her $14,000 to apply for a different type of visa. To cut a long story short, the couple are still in Samoa and they are looking for their money. Looking back on the situation, the couple admitted they were naïve. “The police said she’s very smart and she strung us along for a long time. Looking back on it now, we were very stupid. By the way, we have the name and identity of the woman and this story is not over yet. You will eventually find out who she is. But this couple’s story from Fagamalo is so typical of how our people are robbed by some serious con artists out there. They are ruthless, vicious and they will lie to you with their eyes wide opened. The good news is with a bit more education and public awareness, many people might be spared the agony and the pain of being fooled in the future. Now at the beginning of the week, the New Zealand Immigration Advisors Authority (I.A.A.) warned against such people. The warning came from Catherine Albiston, the Registrar of I.A.A. who cautioned members of the public against working with what they refer to as unlicensed advisers. In New Zealand, the government there has specifically set up the I.A.A. to protect migrants who wish to travel to New Zealand. “There have been historically and it continues that migrants and people wanting to come to New Zealand do get bad immigration advice. “It may be from good meaning people in the community and from the churches but often they get bad advice. According to Ms. Albiston, anyone who needs immigration advice should go directly to Information New Zealand. Currently there are only two licensed advisors for New Zealand based in Apia. They are Denise Ella Sonnya Ah Tune and Roberta Tiatia. There might be licensed advisors for other countries, which we are not aware of. The point is that don’t take anyone’s word when it comes to immigration advice. You are better off to ask questions – even in Samoan – at the Immigration Office and be seen to look stupid rather than having someone pretend to help you when all they’re doing is stealing your hard-earned money while they are at it. Exercise caution and be alert. Happy Thursday Samoa, God bless!